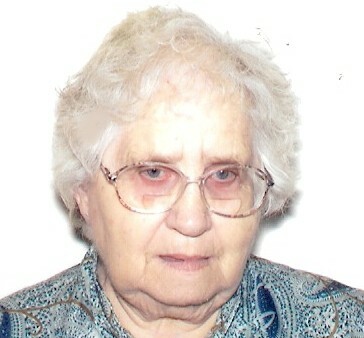 Vivian S. Rubado, 86, of DeKalb Junction, died, June 2, 2012, at Canton Potsdam Hospital. A graveside service will be, Tuesday, June 5th, 11:00 at the Hermon Cemetery, Hermon, New York, Pastor Robert Clark officiating. Vivian is survived by her son Holland “Hollie” and wife Julie Rubado, Hermon, sisters, Venita Crary and Vena Hubbard of North Carolina, grandchildren, Anthony and Denise Stedman Rubado, Germany, Eric Lashua, Hermon, great grandson Zech Fuller, Hermon, several nieces and nephews. She was predeceased by a son Harold Rubado, a sister Violet Carpenter and a granddaughter Melissa “Missy” Jandreau. She was born on January 4, 1926 in Fine, the daughter of Holland and Hazel Kerr Hubbard. Vivian married John Rubado in1948; he died in December, 1994. She was a self employed live in aide. She was a member of the DeKalb Hermon Senior Citizen Club, and Church Of The Good Shepherd. Vivian loved doing crossword puzzles, knitting, crocheting and going to church. In lieu of flowers contributions can be made to Hospice and Palliative Care of St. Lawrence Valley.